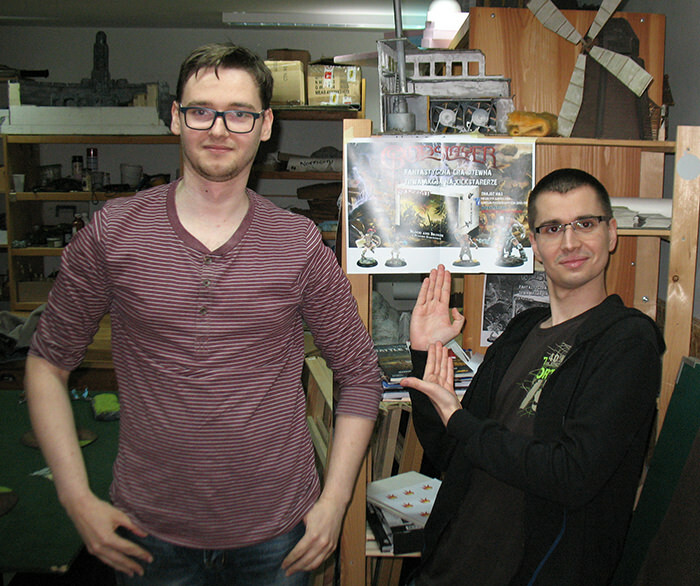 The Kickstarter is alive and fighting and so is GodSlayer in NoRth Poland - we're still playing and showing the game to new people. We have only 4 regular gamers for now, but 2 more are interested and thinking about backing up the kick. I've made some posters to advertise the game and the kick and we've put this in two places when people usually play their games. 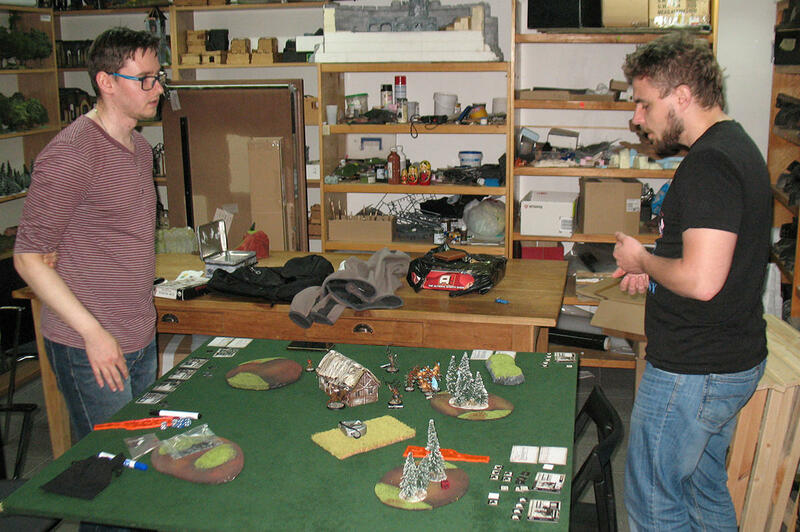 Meanwhile I was playing against HanSolo - in the second act of our little Campaign, in which the forces of Order (Halodynes and Mortans) had to unite to fight the growing forces of Chaos (BaneBrood with a support of Skannfyrd - yes, we know that Skannfyrd don;t look so bad, but we had to mix the players to make some sense with pairings ). In the first game of the Campaign my Banebrood had it's first failure. 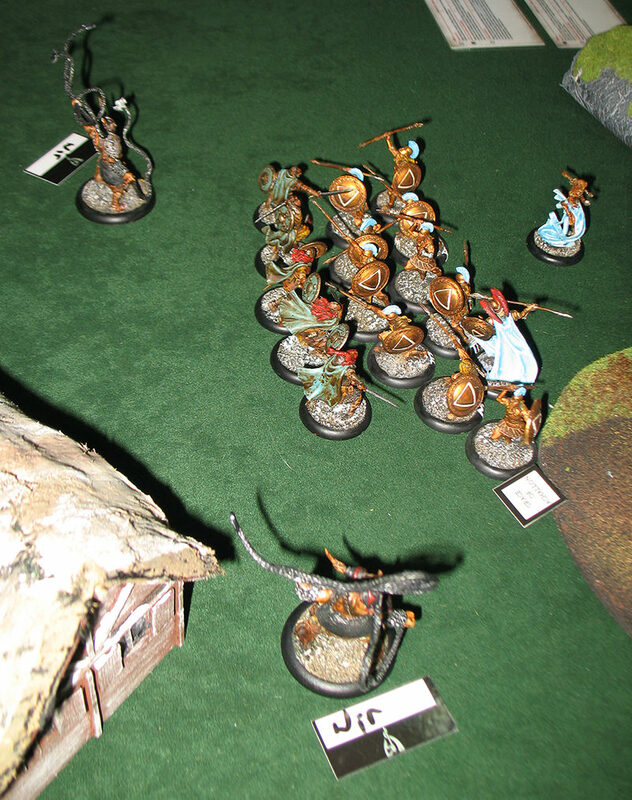 In a bloody battle against Halodynes led by Maciek, when Chimera was leading a group of Guthackers, Reaver Tribesmen and an Ursapine. Against... women! Some magicians supported by Sons of War, Animated Statue et cetera. Many of the Halodynes died, yet the girls survived and their magic destroyed beasts and wild men. After that lose I was going to play against Mortans in the Forest Massacre scenario - my Banebrood regrouped, healing it's wounds. The scenario assumes that Attacker (my force) has only 200pts, while defender has 300pts. To be honest I didn't see much sense in that, having only 2/3 of the force my enemy has, while playing a game in which the only goal is to kill. Still I tried to maximize my chances and decided to use the best of the best - the true killers. So I used the GoreLord for the first time (I don't have the mini, so I was proxing it with PestBringer). I made him an ultimate killing machine, giving him Blades of Minaxos (+1 POW and MEL in BtB), GutPlate of Negirrath (DEF 15! ), Witchweed Extract and Bubonic Fleas (with Black Plague). 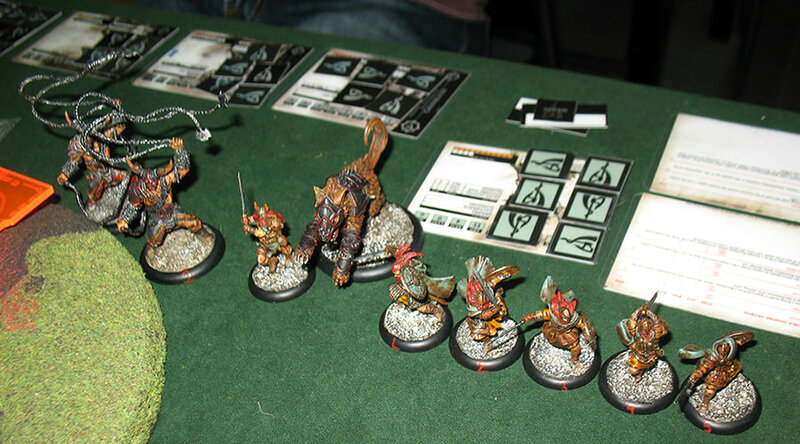 So he costed 87pts, and I took full unit of Fomorian GutHackers, having 197pts army and only 6 miniatures, but all of them fast (with the special rule of Beastspawn), all of them quite tough (for that army) and very deadly (with the plagues, high MEL and DAM). 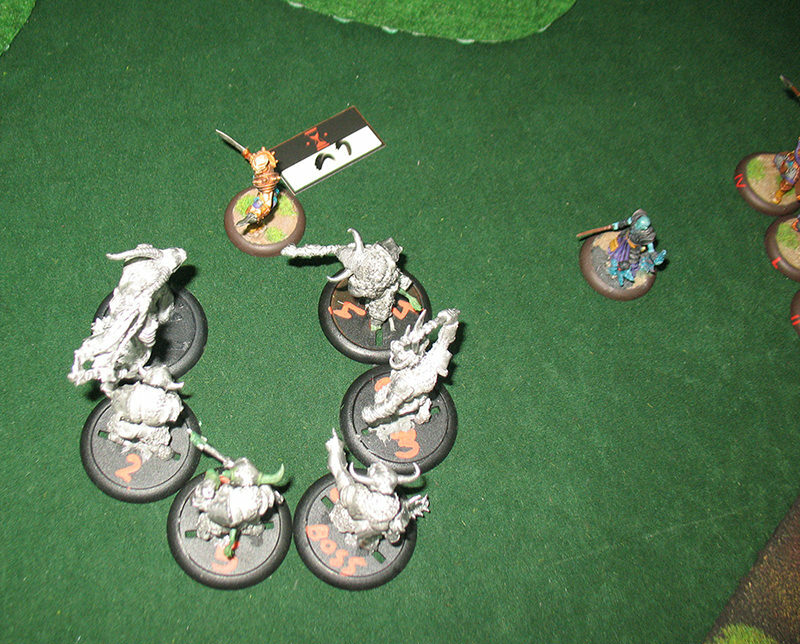 The plan was to charge the enemy in the first turn, depending on his deployment. And the Mortans were nice to me - HanSolo wanted to play the game with a bit o fluffy taste, not a true tactical approach. Sop he deployed in a way to resemble the army in move - with one unit of 6 Legionnaires in front, then Centurion with Princeptor, next to some Magician, and the second unit of Legionnaires. 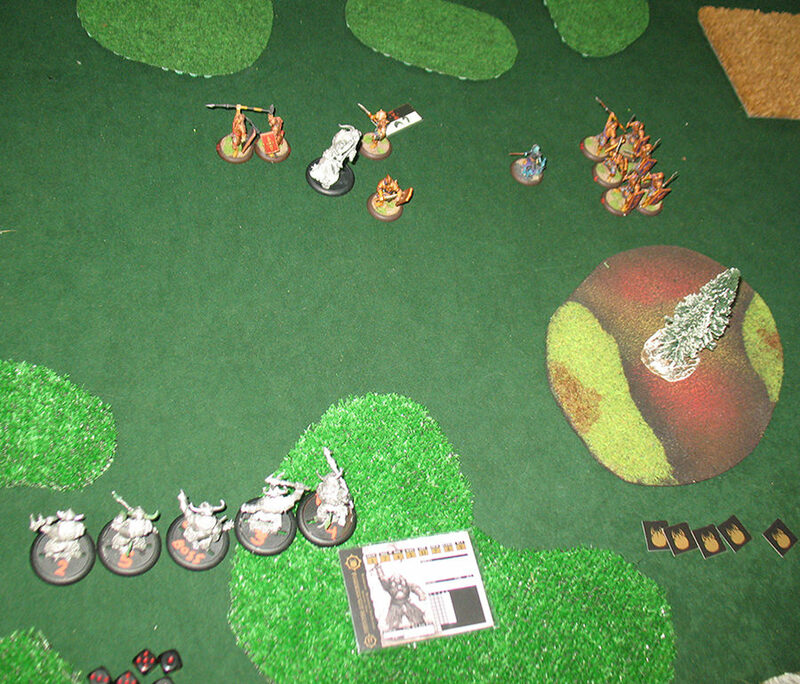 So I deployed my forces as close as possible to enemy, having in mind attacking the first unit of Legionnaires. In this scenario I could take the first turn, and after few moments of thinking I did - activating the GoReLoRd, taking the Witchweed Extract, spreading plagues, and then charging into Legionnaires! 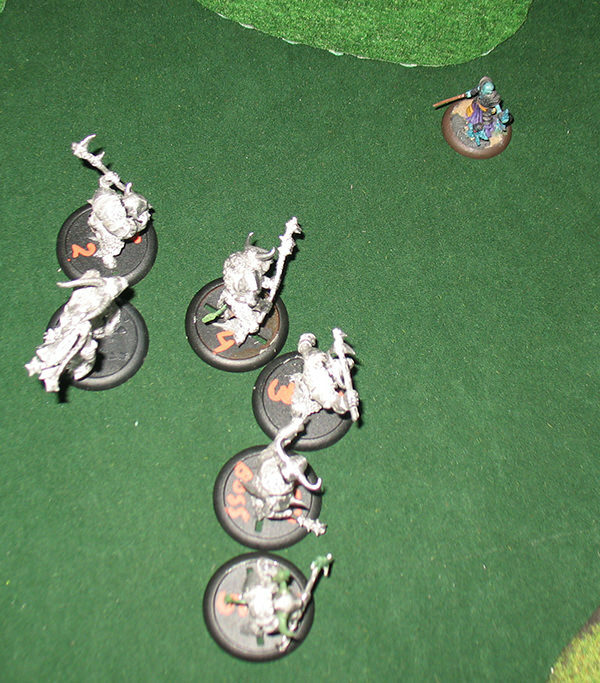 The beast was bloodthirsty, murdering first enemy, then going for the second with Slay Movement. Each victim gave the Beast another Action Token. The Legionnaires didn't even tried to counterattack against the beast with DEF 16. 4 of them died in that ferocious charge, and after that GoreLord used the last ACT to move into Melee range with Centurion and Princeptor to avoid being charged. 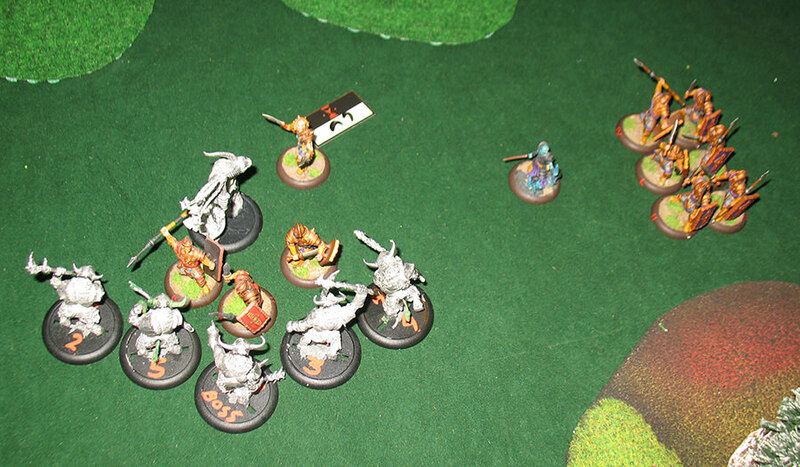 Mortans decided to attack the GoreLord with Princeptor, yet this warrior couldn't hit the beast, failing his rolls. Then the last two Legionnaires moved themselves to defend Centurion, trying to save him from the GutHackers, a sacrifical move. And they really did a sacrifice, yet it was pointless - the GutHackers were in a charge range, went against Legionnaires with the lower POW attack and even managed to get into MEL with Centurion. 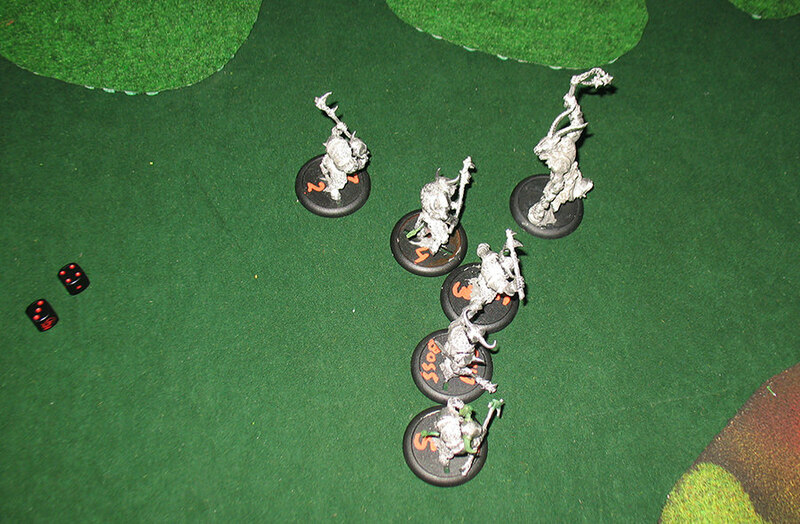 The Legionnaires died quickly and Centurion was wounded. 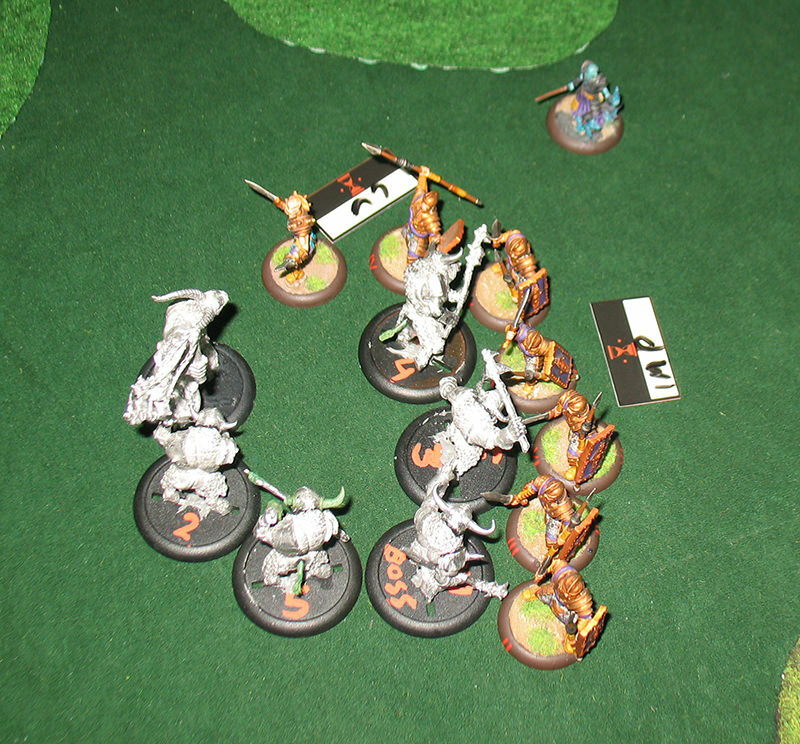 Thanks to using only 2ACT for charge Fomorians could use move to get closer to Centurion and then his fate was doomed. Mortans lost their warlord and their faith. Even though magician buffed the second unit of Legionnaires, their morale was broken. They charged the GutHackers, but failed the Fear test and with -2 to MEL they didn't do almost nothing, missing most of the attacks. 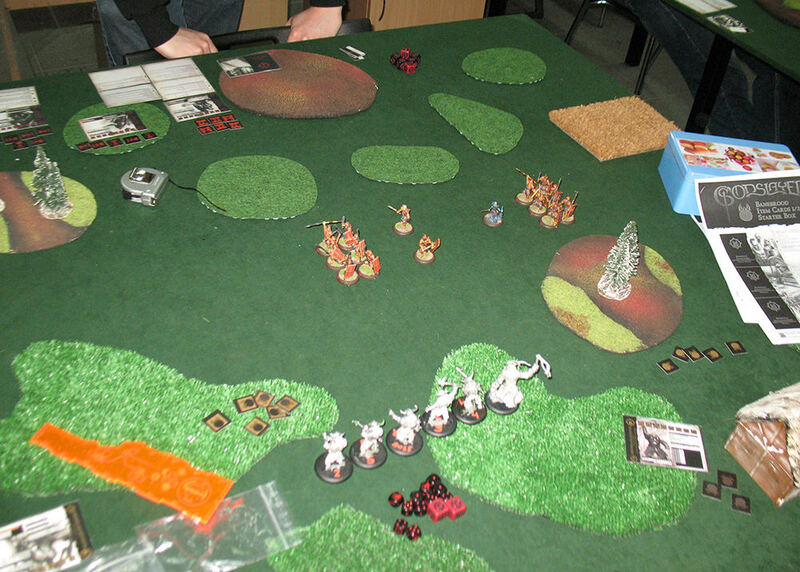 Then BaneBrood won initiative in next turn and GutHackers used one move to position themselves better, getting in range with all Legionnaires and Princeptor. They activated the Circular Slash, used a +1 to MEL as a fighting style and unleashed the deadly 3ACT 7POW attack. The lonely magician tried to fight, yet he was lost. And when the last Mortan felt to the ground it occured, that the whole 300pts Legion didn't do any true damage against BaneBrood - no GutHacker died, only one was wounded. GoreLord didn't lose any life point. It was a true forest massacre. I was really surprised in the outcome of this battle - how easy BeastSpawn destroyed the enemy. For sure the deployment of Mortans was important, yet in this scenario it's impossible to deploy in a way that protects everyone, especially that the attacker deploys last. Now we're going to play the final round of our Campaign - a big mixed battle with 4 armies! 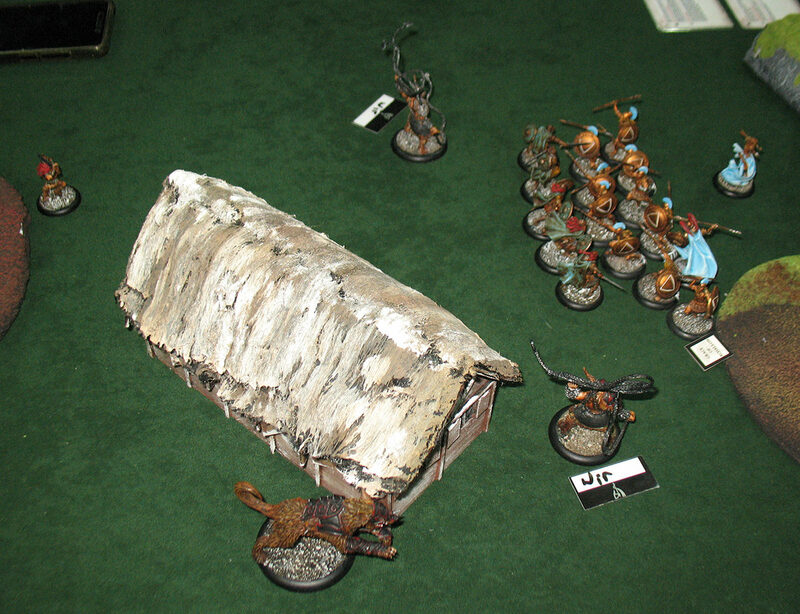 2x200pts - Halodynes + Mortans vs Banebrood + Skannfyrd. And maybe we'll make some battle report too. Indeed! Sounds like you had quite some fun holding up the Godslayer banner.